Lou Brew Reviews: Rockwell Beer Co.
We’ve got a new brewery in town and guys, I almost don’t want to post this because it’s already too popular. They’ve seemed to explode onto the scene and I’m pretty impressed, because their start was not a hot one. They opened last year, right before all the colleges went on winter break. Everyone was in a festive mood and looking to blow off steam at any number of festively-decorated atmospheres. In that respect, it’s a great time to open your doors if you’re a fledgling brewery trying to get your name out. EXCEPT. None of their beers were ready. And it’s location is…edgy. By that I mean, it’s on the very edge of a neighborhood that is known for it’s fun bars and less-than-savory goings-on in the wee hours of the morning. So on the outskirts, it’s a little less “fun” and more “grunge.” Trekking the extra 5 minutes out there after dark in the middle of winter only to discover all the available beers are ones we could get at any of our already-established-as-favorite bars was disappointing and confusing. All it seemed to do was show off the “bad” location and a seemingly disorganized business. Fast forward to the first *really* nice day of the year, everyone and their mother is feeling outdoorsy, which in St. Louis means drinking on a patio! Civil Life is my husband’s go-to suggestion for this, since they’ve got a nice beirgarten-type set up, but I recalled a very spacious patio at the new brewery, so I suggested we check out Rockwell again. Also, I’d had their saison with dinner the night before, and it was delish! They’ve distributed their beers to a ton of local bars, which, as a strategy, more than makes up for the fact there were 0 beers to try at their grand opening. All those people and their mothers had the same idea I did; both the patio and the indoor area of Rockwell were pretty busy when we arrived. We got there *just* in time, though, because we didn’t have to wait for our first beers, but when we went back for our second drink, the line was wrapped all through the indoor space. It moved fast, and all the beers I tried were pretty awesome, so I highly recommend checking them out–and not being put off by the long line. I could be wrong, but I think their food is provided by Brasserie, which means it’s all fantastic. For beers, along with the saison (Fabricious), the hubs loved their Bizniss Ethics and I really liked the Passing Clouds. I’m a little disappointed in myself that I didn’t try the Oxford Llama just for the name–next time for sure! 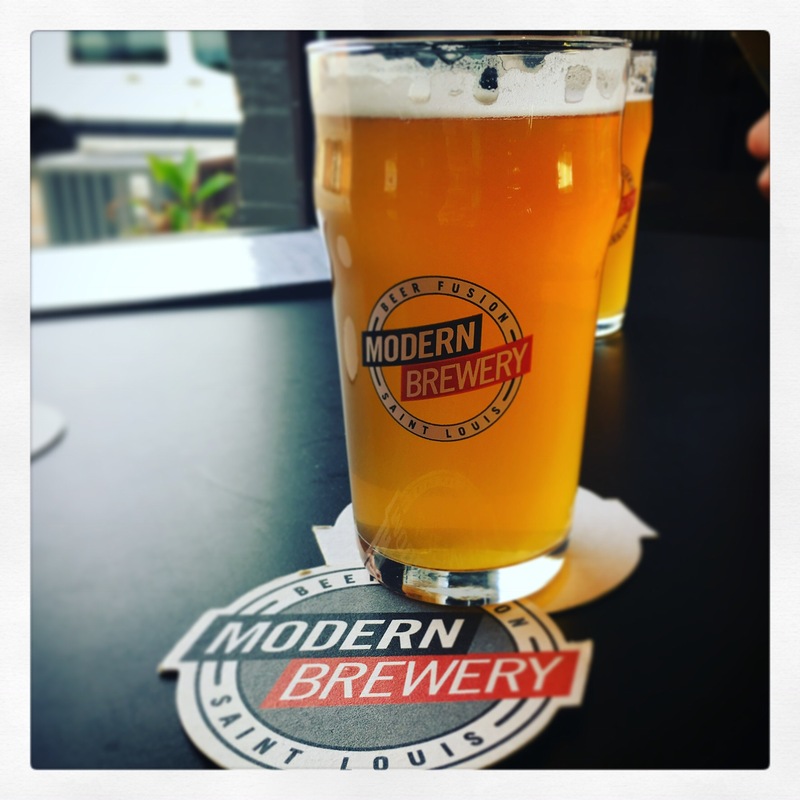 Author ramblingsofawildcardPosted on February 26, 2019 February 19, 2019 Categories Rambling Explorations, RamblingsTags beer, breweries, craft beer, drinks, friends, fun, good times, local, patio, St LouisLeave a comment on Lou Brew Reviews: Rockwell Beer Co.
yes the answer is D and also I had TWO dee-licious sour beers by Stillwater which I cannot remember nor pronounce the name of but here we are. Somehow upon entering our apartment, I started singing “Screamer” by Good Charlotte, and that sent me down a crazy, spiraling rabbit-hole of old school Good Charlotte that has made me so happy in my buzzed state. This post has no point. Sorry for your time. We recently revisited 4Hands in downtown St. Louis, and it was a lot of fun! My husband and I are big fans of their Single Speed blonde ale, but we also like City Wide (he the pils, me the pale ale). My parents were in town and we wanted to give them a bit of the local beer scene flavor. We were going to do Schlafly (their tours are pretty fun and as I’ve said, their beer selection is fantastic), but they were setting up for a big weekend to-do. We ended up at 4Hands, because I like their beers and I remembered it was a fun atmosphere. Mom and I loved the On Cue–Himalayan salt, cucumber, and hibiscus–but the men did NOT (the enjoyed their pilsners and free arcade games). Dad had a great time crushing it on Galaga while Mom and I played skee ball (even if it took us a little while to realize we had to push “start” for our points to start counting…). We giggled a lot and I may have panicked and way over-tipped the bartender at one point (you’re welcome for that 60% tip, sir) and it was a great time. Something I think we figured out last time but forgot this go round: they have different drinks at the downstairs bar and the upstairs bar, but your tab is accessible through either. Just something to keep in mind if you start a tab downstairs then head up to the game area and decide to try a beer up there! Do you love sour beers? If you said yes — perfect! If you said no…that’s fine, too. Alpha Brewing in the Tower Grove (ish?) area is worth a visit no matter your beer preference. They are known for their sours — the Delphian is amazing, and the Guava Brett will pucker even the most sour-lover’s taste buds — but they’ve got several great IPA, Stout, and Blonde Ale options as well. And some super-fun names. You better believe I tried the Hop, Lock & Drop It, the Troll Wheatwine, and the Fyler Flyer (which gets harder — or easier? — to order the more you have!). I also really like that they offer a range of pours, so you can create your own flight — and/or just enjoy a *very* small glass of your favorite if you happen to be a lightweight like me. They have your normal-sized pours as well, of course, but I like that I have options, especially if day-drinking. Alpha also offers live music shows on Thursdays and Saturdays. Their food looked pretty good, though we did not partake — they even have a Vegan night for the non-meat-eaters out there. Their website claims “It’s not for everyone” but seriously, I think it’s my favorite local brewery. It’s tucked back in a neighborhood near Grand Ave, just out of the way enough to be a hidden gem while close enough to merit an easy trip. 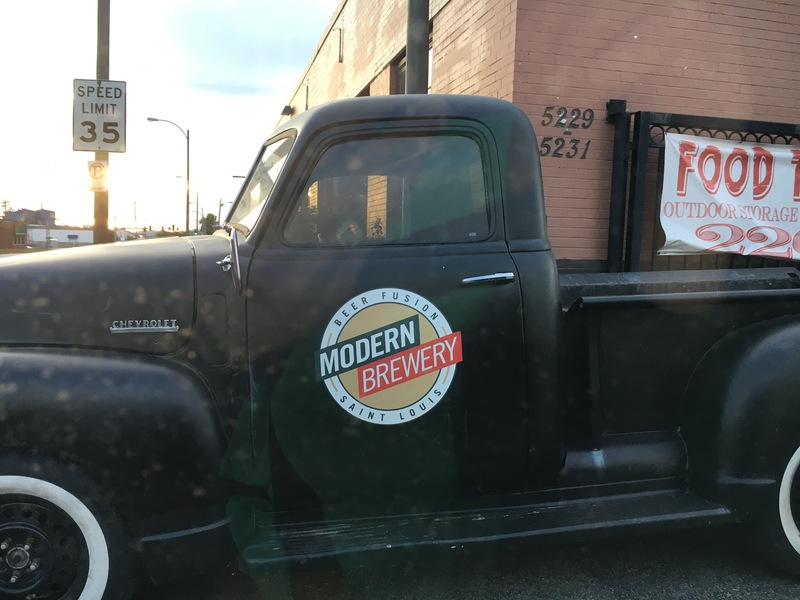 Modern Brewery is another brewery in a warehouse space, but smaller than 2nd Shift. The bartenders were friendly enough, but they were more engaged with regular customers when we visited last fall (which is understandable), so we just grabbed a table near the entrance to enjoy the late autumn breeze (okay, it was too chilly but neither of us wanted to admit it to the other). We tried the Citropolis IPA and Citropolite (slightly less-hopped). They were fine, but not our favorites. Since visiting, I’ve ventured into the world of hops and pale ales. That in itself makes me want to revisit Modern. Add to it the fact that the weather is warming up, and I know their space is open and breezy, and this could be a great spot to enjoy this summer! My husband is something of a burger fanatic. 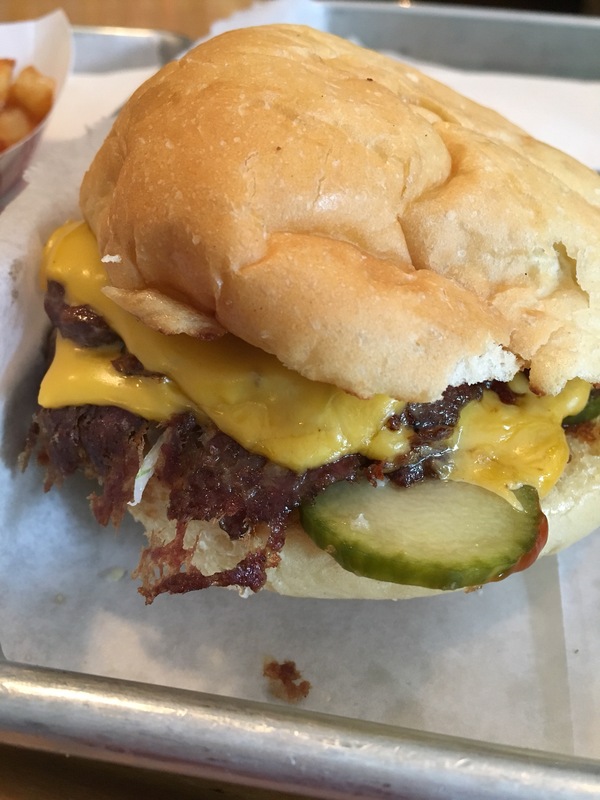 He has given me so many unsolicited burger reviews since moving to St. Louis, I convinced him to sit down, order his thoughts, and let me share them with the world (or at least, this blog). So sorry there are no photos of the winning burger (devoured too quickly) or the Chase Club burger…you will just have to Yelp them I suppose! I’m calling it: gotta give Mac his props, but my favorite St. Louis burger is Brasserie’s. It’s so good, I’m happy just to eat the meat. But the accoutrements are great, too. Which burgers are in consideration? 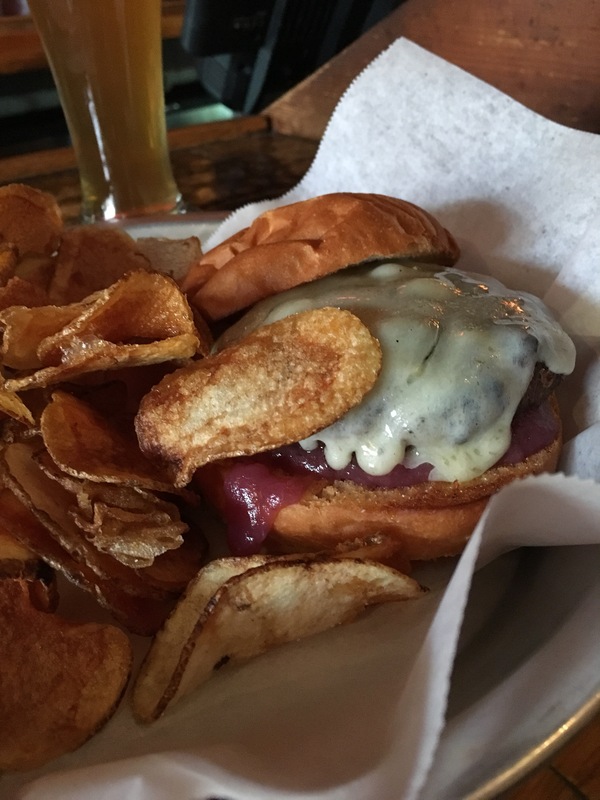 Tell me about Dressel’s; I thought that was the best burger you’d had in at least five years? Dressel’s burger is very unique. It has an oniony-spice and almost meatloaf consistency — but in a good way. It’s a burger I could have three days a week, because I forget how good it is. It’s light and not greasy, but on the smaller side. The patty itself is pretty thick, so it’s typically very juicy. What about Mac’s; you’ve been going on and on about that one? That’s my number one quick bite burger. It’s amazing times two. Because it’s a smash burger, it has crisp burnt edges, and you can taste the quality of the meat. You taste the extra time and care that you don’t get at Hi-Pointe (Careful, buddy; I will fight you!). There’s constant turnover there, so they’re already cooking the burgers!. 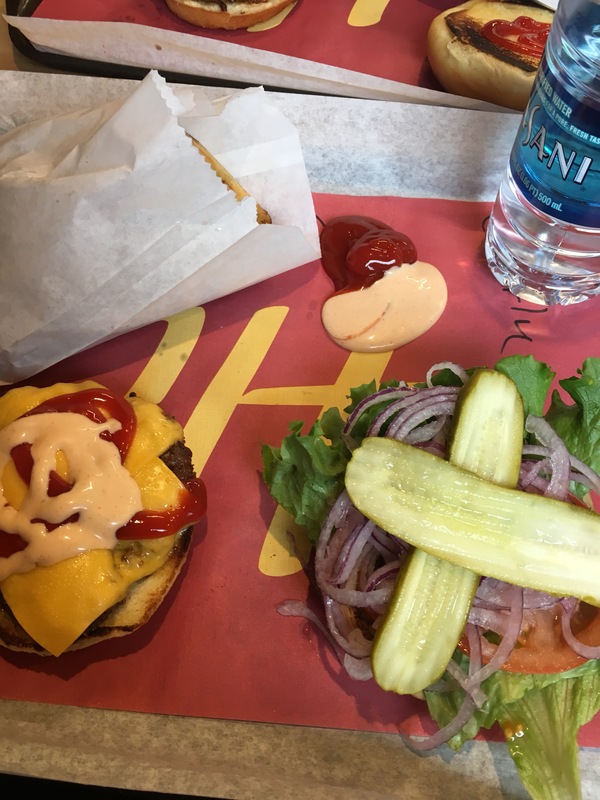 At Mac’s that burger was designed for you from start to finish. Hi-Pointe has a mean veggie burger. You can see the veggies in it and it comes on that delicious, buttery bun. The regular burger is an extra juicy smash burger, which most people would enjoy but it weirds me out. But most people like that so you don’t need to include that. TOO LATE! What happened to the Chase Club Burger? So, Brasserie is the winner? Brasserie’s key to success is the burger is so thin. It’s almost a French take on Diner food. It’s a super buttery burger, juicy, flavorful, with amazing, melty American cheese. The meat is such good quality, I could enjoy it without everything that comes with it — I don’t even need ketchup. So there you have it: according to my loving husband (his name choice), Brasserie has the best burger in St. Louis. Personally, I freaking love Hi-Pointe (but Mac’s is a really close second place for me). Do you have a favorite burger? What makes (or breaks) it for you? 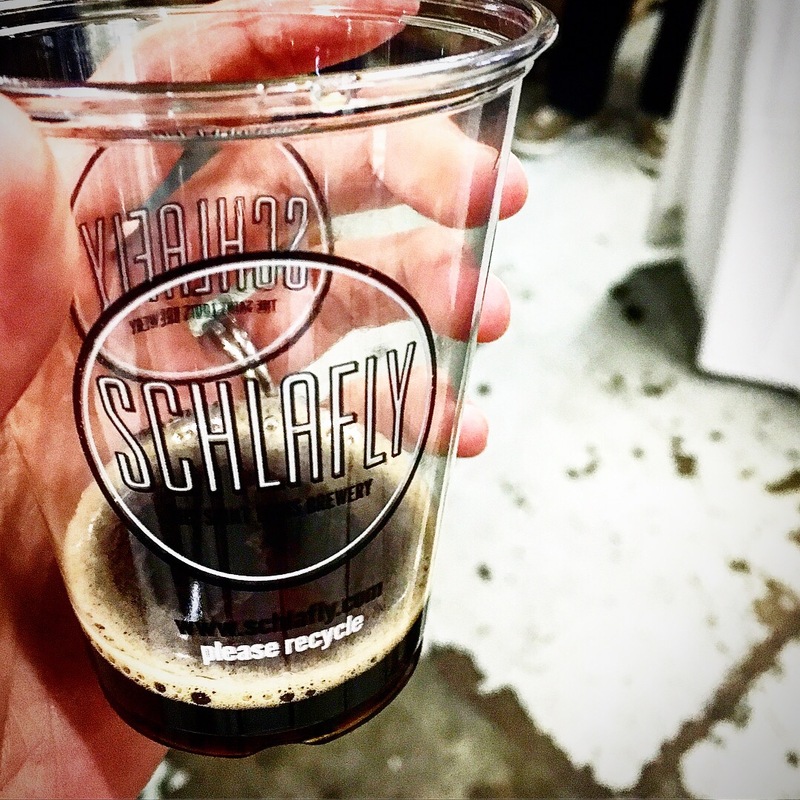 Yesterday I took the VIP tour at Schlafly’s Tap Room — my husband got us tickets through the Beer and Wine Club at his grad school and it includes free tastings so YES PLEASE — and it was awesome. Firstly, I’ve been to the Tap Room one other time (Stout and Oyster Festival), but I didn’t realize just how big the place is. There is a LOT of seating through several rooms. We got to go behind the windows into the room where the giant vats are (wearing safety goggles, of course), and then down into the basement where the real magic happens. AJ was a pretty great tour guide. He was informative and clearly very passionate about craft beer. He mentioned a beer class he also gives, which I’d love to check out. Just based on his enthusiasm, I’m going to go ahead and recommend both the tour and the class. The tasting was really fun. 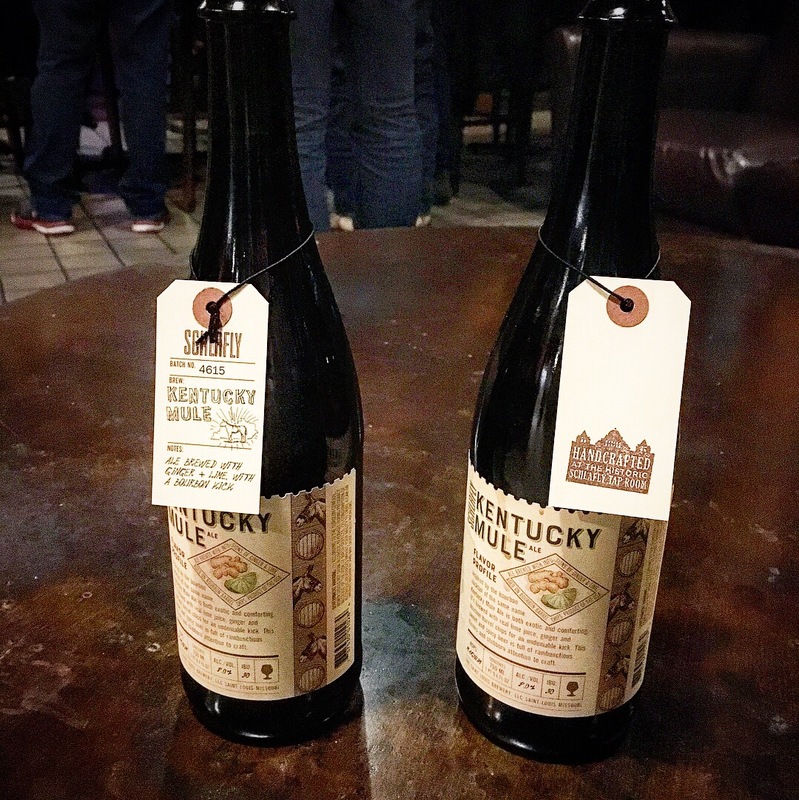 My husband is *obsessed* with Schlafly’s Kentucky Mule, which was one of the options during the tasting, so all his buddies got to sample and see why he isn’t crazy for talking it up so much. I also tried the Scotch Ale, which is ale aged in scotch barrels. It was really smoky, which wasn’t necessarily a bad thing (I vaguely remember telling people it tasted like the chicken taco I’d had earlier — still not a bad thing). I also had the Gruit, which was a delicious and refreshing sour (probably my favorite of the tasting), and one other from a bottle with a kind of shiny label whose name I can’t remember. Also, on the tour I had a (plastic) glass of the Pale Ale, which as I’ve said before, makes me so happy that I magically enjoy Pale Ales now. P.S. My husband bought two bottles of the Kentucky Mule (they come in like wine-bottle size and are also I think 12% ABV?). I’m pretty sure he tried to say one of them was for one of his buddies, but we ended up bringing both home with us so I think he just pulled a fast one on me. I wasn’t in the most observant state of mind by that point. It was a fun night! Ramblings of a Wildcard Blog at WordPress.com.